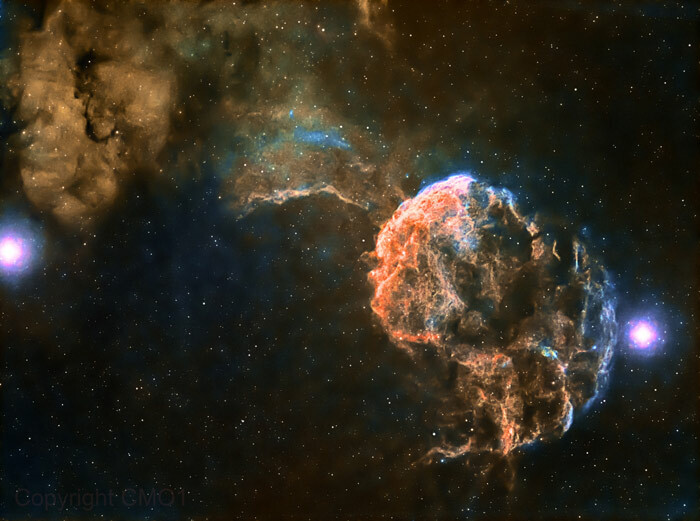 Jellyfish Nebula, Narrowband by AstroBin user Chris Owen. All rights reserved. Used by permission. Tele Vue-85 APO refractor with TRF-2008 0.8x Reducer/Flattener (480mm f/5.6) with ZWO ASI1600MM Pro camera on iOptron iEQ30 Pro mount. Taken through Astrodon Hα, OIII, and SII filters for a total integration time of 16-hours. This is a striking narrowband filter image of the Jellyfish Nebula (IC 443) and IC 444 reflection nebula in the constellation Gemini. The Jellyfish (lower-right) seems to “pop out “of the screen, apparently “held back” by a tenuous connection to ICC 444 to the upper-left. The bright star Eta Geminorum (one of Gemini’s “toes”) is on the right and to the left is Mu Geminorum (one of Gemini’s “ankles”). 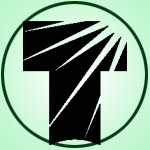 This guest blog post is by Tele Vue-85 owner Chris Owen. Chris is a physician in Orange County California, where he lives with his wife and 3-year old son. You can see more of his images on AstroBin. I got started in astronomy in the 1990s while I was still in High School. I spent cold clear winter nights in Northern New York learning the basics together with my father on an 8″ Schmidt Cassegrain. I remember trying to manually guide my first prime focus images of M42 with the 2,000mm focal length SCT, shooting 35mm film in 10°F temperatures. The results were predictably flawed and after I went off to college the scope and gear were put away. I went west after finishing school and my astronomy interest faded away under the light polluted sky of Southern California.